To remain competitive in the business world, companies must hire, retain and incentivize productive employees. For some time now employers have been turning to “equity” compensation – stock options, restricted stock, etc. – to meet these needs. However, if the employer is a limited liability company that is taxed as a partnership (an “LLC,” and almost all limited liability companies with more than one member are taxed as partnerships), granting equity compensation to employees creates tax problems that don’t arise for corporate employees. If the employer is a corporation and grants stock to a W-2 employee, the employer will continue to treat the employee as a W-2 employee after the grant. The employer will continue to withhold income and employment taxes from the employee’s pay; the “employment tax” situation following the stock grant is unchanged. required to receive a K-1 from the employer, showing the New Partner’s salary as a “guaranteed payment” and also showing the new partner’s share of the employer’s net profits and losses. The W-2s will reflect the New Partner’s “salary,” but probably won’t reflect the New Partner’s share of the employer’s income. This could result in under-reporting and underpayment of the New Partner’s self-employment tax, particularly if the employer doesn’t issue the New Partner a K-1. Equity compensation is meant to incentivize employees, and is rarely fully vested when granted. The equity compensation vests over time, usually a period of years. If the equity compensation given to the New Partner is a “profits interest” that is subject to a vesting schedule, and the employer doesn’t bother to make the necessary status change and treat the employee as a partner, the profits interest will fail to meet the IRS requirements for tax-free issuance. An employee who is issued a profits interest (including an unvested profits interest) must be treated as a member of the LLC, and receive a K-1 from the LLC reflecting the interest as if fully vested, from the date the profits interest is granted. If the employer fails to do this, there is a risk that the profits interest could be taxable as compensation either at grant or on each vesting date. The employer is responsible for payment of the employment taxes of its W-2 employees – it withholds half of the employment taxes from the employees’ wages and pays the other half directly to the government. Once an employee becomes a member of the employer LLC, the New Partner, not the employer, is responsible for payment of all self-employment taxes. If the employer continues to forward the New Partner’s employment taxes to the government, the amount paid must be treated as a guaranteed payment, taxable as compensation to the New Partner, triggering further employment tax liability. There are no easy work-arounds if an employer LLC decides to continue to treat New Partners as employees for employment tax purposes. Some businesses use a “tiered” approach in which the employer LLC forms a subsidiary LLC or a “lower-tier partnership” that acts as the actual employer or co-employer of employees who are to receive equity compensation in the employer LLC. Since the subsidiary LLC or lower-tier partnership is the entity that issues the W-2 to employees, those employees can become members of the employer LLC and still receive a W-2 from the subsidiary LLC or lower-tier partnership. As an alternative, the employer LLC and the New Partners could set up an S-corp. that “employs” the New Partners, who will be shareholders of the S-corporation rather than members of the employer LLC. The equity compensation is then issued directly to the S-corporation, and the New Partners hopefully get the benefit of the less cumbersome employment tax treatment enjoyed by S-corporation shareholder/employees. The solutions that are available under current law are complicated and expensive, and are difficult to explain to the New Partners for whose benefit they are being established. Since LLCs are often the entity of choice for new businesses, better solutions need to be found that will permit LLCs to grant small doses of equity compensation to W-2 employees. Hopefully, in upcoming tax reform, Congress will enact changes that will resolve the issues discussed above and permit W-2 employees who receive equity compensation to continue to be treated as W-2 employees for employment tax purposes. 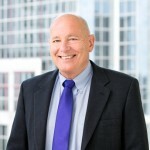 Gary Bubb is an attorney in RIW’s Corporate & Business, Mergers & Acquisitions, and Tax Practice Groups. Gary can be reached at gcb@riw.com or (617) 570-3538.